5 Colourful Ways To Wear Leggings! If you are a fan of colour blocking, then what better than the winter season to experiment? 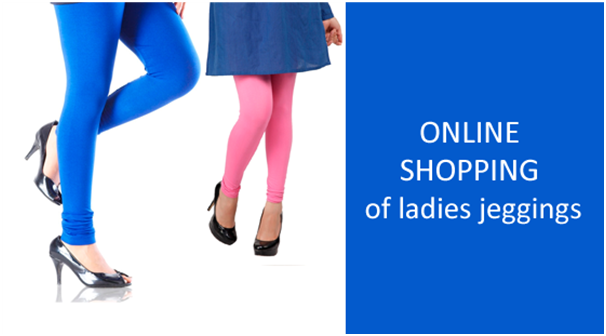 Pair up purple or navy blue leggings with an orange or green top. Experiment and go quirky as much as you can this season. You can buy best leggings for women over the internet easily. And since festive sales are on, don’t forget to find the best deals. You can finish out the attire with a long lapel coat of camel colour and matched up boots. This attire is different and cool at the same time. Try the white and black trend! If you are in doubt then just pick up your white shirt and pair it with black leggings. Put on a bright coloured jacket with this look and you are good to go. Don’t forget to add a scarf to this outfit. Want to wear a short dress during the winter season? Well, no problem! You can always take the help of leggings and boots to make it look different. If you have a dress that is white in colour then pair it with white leggings and black boots. Finish the attire with a black long jacket and some oxidised accessories. You can always add an indo-western look to the ensemble. Play around with Aztec prints. Yes, you can easily find Aztec printed leggings in the market these days. Don’t be scared to do something out of the box. Just pick them up and pair it up with a midsized sweater. You can either wear a black, white or grey sweater to keep the look minimal. If you like loud looks then pair a green, blue or red sweater with the leggings. Throw in a burgundy muffler, boots and beanie to finish out the outfit. It could be a little challenging to carry off this look, but it won’t hurt to give it a try. Did your boyfriend give you his chequered shirt? If so, then use it wisely. If the shirt has blue checks in it or green,, then you can wear it with the matching leggings on the bottle. Keep the look subtle by pairing it with a black zipper or leather jacket. You can also add to the look by tying a knot in front of the shirt if it is too long. Other than this, wear a black beanie, knee level boots and don’t forget a long chain to add a little to the ensemble. These 5 looks can be mixed and matched too!